It’s easy to forget your bathroom. As long as it’s fresh, clean and ‘modern enough,’ then homeowners will think it’s a job well done and won’t need updating for years and years to come, or even at all. However, keeping your bathroom pristine and stylish isn’t as difficult as redecorating any other room in the home. 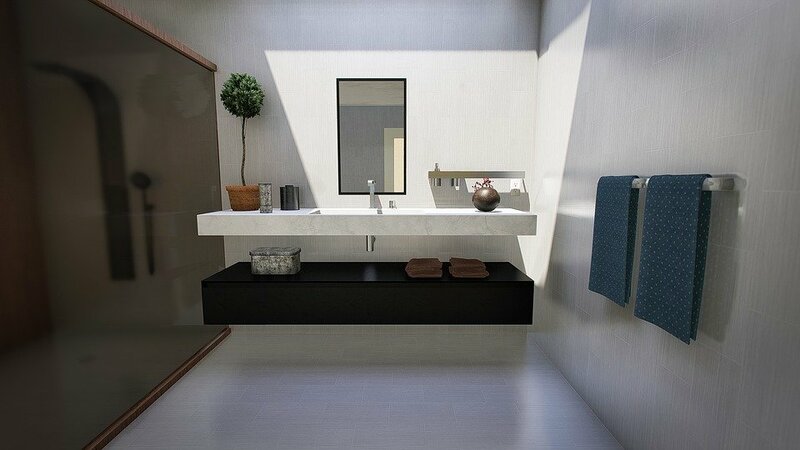 Of course, you have plumbing, however, the space can be transformed with minimal disruption. 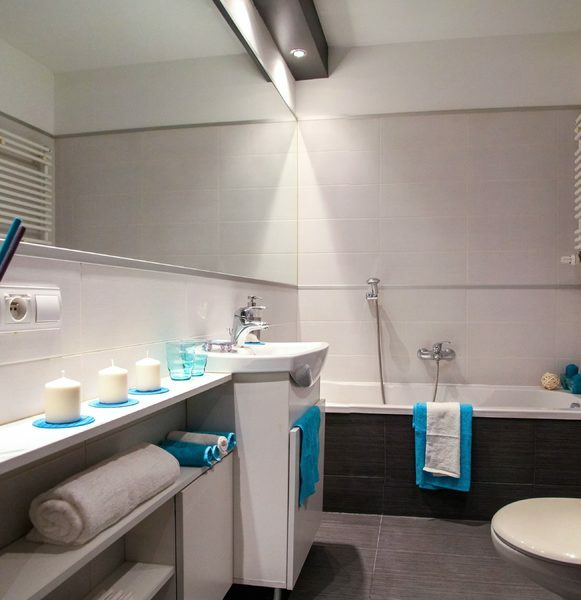 Here’s how to modernize your bathroom effectively. You can instantly transform your space by swapping out your current light fixture with a newer and more stylish alternative. Whether you have wall scones or ceiling lights, browse George Nelson Bubble Lamps for a modern and simple improvement. By better illuminating your room and ensuring the fixture is of the right size, you can greatly improve the size of the space. Therefore, if you have a smaller bathroom, then a simple, more modern bathroom light fixtures can enhance the entire room and improve its vicinities. Bathrooms should usually be painted in mellow or natural color schemes. This is to keep the room feeling fresh and clean while making it seem larger. Therefore, if you have a bathroom painted or wallpapered in loud colors, it’s best to repaint or strip the walls. Off-white, muted pastels or soft taupe are all winners and can create a soothing ambience. If you want to include some color or patterns, then having a feature wall and combining colors can work wonders and allow you to have the best of both worlds. Hanging pictures can also have this effect. Chrome taps are becoming a thing of the past. Instead of the usual silver colored taps, replace them with brass or copper. Not only is this a unique take, but they can look more aesthetically pleasing than chrome glistening under the lights. To ensure your brass or copper faucets match, you’ll also want to replace any chrome handles for details; for example, toilet roll holder, door handles, and cupboard handles. Make your mirror centerstage. Hang it above your sink, and ensure the mirror’s frame offers an artistic and unique take to your bathroom. For example, wooden frames can be stunning, however, instead of having a solid wooden one, opt for a mirror framed with branches. You could also find driftwood mirrors, too. On either side of your mirror, if there is space and a table top, include vases of fresh flowers and have the plants reflect into abundance. 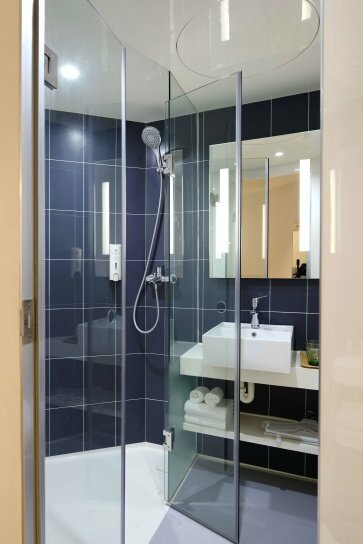 Replacing the shower may take time and money, however, this interior change can greatly improve your bathroom. Instead of living with a weak, small showerhead, replace it with a waterfall. 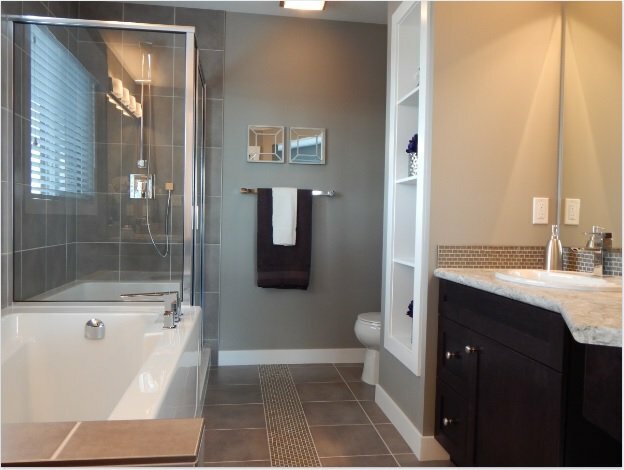 If you don’t use the tub often and could live without it, take it out and replace the area with a full-on walk-in slower with a sliding glass pane and beautiful tiling. A powerful and relaxing shower can work wonders after a long day; make sure your bathroom is an oasis of calm.